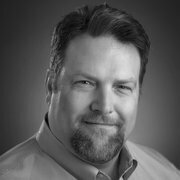 David McCall is VP of Innovation for QTS Data Centers. He has more than 14 years of solutions engineering experience in the data center, telecommunications and internet technology industries. If there is a truism for the current enterprise IT world, it’s that “everyone” is moving “something” to the cloud. While this may be a bit of hyperbole, there is no question that most every enterprise has at least kicked the tires on the two most broad categories of cloud; the public cloud and hosted private cloud. For the uninitiated: the public cloud is using someone else’s shared infrastructure in a Hyperscale data center and they give you a little slice of it. Hosted Private Cloud (HPC) means you get a dedicated cloud environment in a hosted data center. When people talk about this mass movement to The Cloud, they’re usually referring to the public cloud offerings of Amazon Web Services, Microsoft Azure or the Google Cloud Platform. But what’s becoming clearer by the day is that while those three vendors are dominating the market, there are several more viable cloud alternatives, both public and private, than at any time in the past. 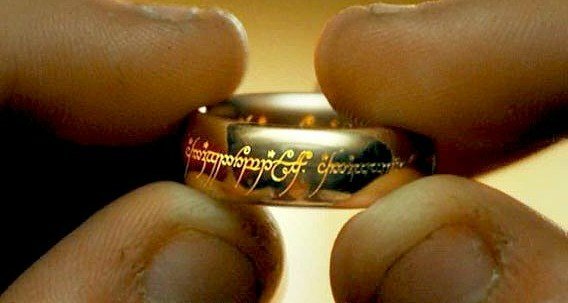 451 Research had a great take on this last year in its quarterly advisory report on Cloud Transformation (Nov. 22, 2017) - that there is no “one cloud to rule them all” and that’s absolutely true. More organizations are directing their IT assets toward multi-cloud environments, and that means there are major opportunities – and of course the potential for major challenges – for anyone in the public cloud or the on-premises cloud market. What’ll take to play in this game? So again – for public cloud, it’s estimated that more than 80 percent of the market is using AWS, Microsoft Azure or Google Cloud Platform. There’s definitely some nuance as to why clients would gravitate to one of these platforms versus another, and we’ll get into a little more of that later. The point is these platforms have captured the market share they have because organizations value brand reputation and the perception of long-term stability; plus all three companies have expansive service portfolios and high-performance metrics. The private cloud vendors, including brands like Nutanix, Dell EMC, and Red Hat, continue to grow steadily and there are hardware-centric, software-oriented and hybrid offerings to meet every need. So what does the enterprise now expect from Cloud providers and what can those providers do to differentiate themselves? It’s not gonna be easy, particularly because the table stakes for this game are so well-defined and the value of differentiators are still being sorted. highly responsive technical support and expertise. Those competitive differentiators are of course going to shift depending on the user, as well as other factors like the timing of the project and the vertical market. 451 found, for example, that organizations assign greater importance to the ability to support multi-cloud/hybrid environments as they progress along their digital transformation journeys. And organizations in the manufacturing industry place greater importance on a vendor’s ability to understand their business, while those in the services sector value innovation to a greater extent than those in other industries. For on-premise private cloud users, 451 also found that a focus on strategic vision and the ‘understands my business’ factor is likely to pay off for vendors that target organizations in the industries that are digitizing at a massive scale, such as healthcare and manufacturing. The ability to both partner and support multi-cloud/hybrid environments is closely tied to strategic vision, which are key concerns for larger organizations (10,000+ employees) and those in the healthcare, manufacturing and communications/media/publishing sectors. Clearly over the past several years, we’ve seen more organizations incorporate varying degrees of multi-cloud solutions into their IT environments. Additionally, we’re seeing more cloud environments featuring some kind of data/workload migration or seamless interoperability. Digital transformation appears to be driving much of these multi-cloud/hybrid environments, and though multi-cloud/hybrid capabilities weren’t at the top of the list of requirements for organizations, according to 451, IT service providers and vendors absolutely have to make this functionality a standard feature of their platforms and develop partnerships across the cloud landscape (hyperscale IaaS, hosted private cloud, colocation and hardware players). And there are traits that are endemic of Microsoft Azure and GCP users, as well. Microsoft Azure customers tend to stick solely with Azure as their cloud platform of choice – much as AWS users don’t tend to gravitate to a multi-cloud environment. In the 451 survey, organizations also pointed to the value of Microsoft Azure’s large geographic footprint as a significant draw. While “strategic vision” was a major factor for all cloud customers, the 451 survey cited “innovation” as especially important to Google Cloud Platform users. Those organizations tend to value the potential benefits of cutting-edge technology and the ‘open platform’ that Google presents. And GCP users also take advantage of Google’s multi-cloud/hybrid support and ability to partner much more than users of other platforms. It’s clear from both market data and anecdotal evidence that while it may be true that “everyone’s moving to The Cloud,” there are still a significant number of variables that need to be measured before making that leap. And once an organization has migrated to The Cloud, its digital journey is really just beginning. As the cloud market evolves, customers are becoming increasingly savvier; with a better understanding of what’s par-for-the-course and what makes a provider truly unique. From the Big Three in the public cloud to the private cloud vendors, providers have to coordinate even more closely with customers, leveraging opportunities that exist at all stages of the cloud transformation cycle.